Until recently, the choices for products needed to provide a safe and elegant home for those 65 and older were somewhat limited. 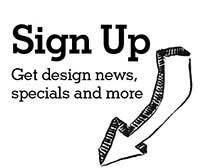 Nowadays however, there are more design options than ever. 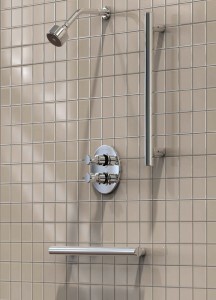 No more industrial grab bars or cold-looking bathroom products. Today’s homes and hotels can be elegantly outfitted to allow an ease of use and living that can really be called “aging with grace” – as evidenced by some of our favorite ADA-compliant bathroom products. 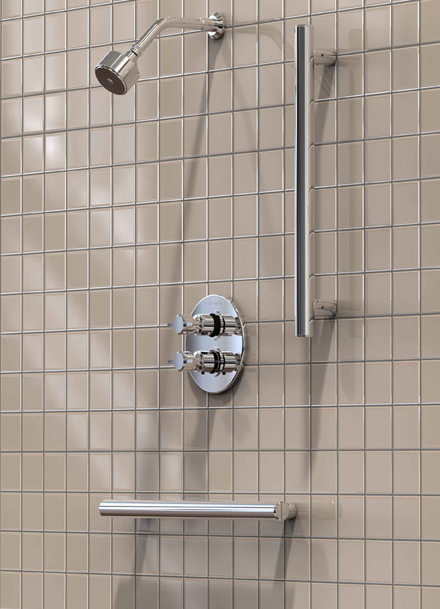 Watermark Designs’ grab bars are stylish and practical accessories that complement a bathroom’s overall design, while at the same time enhancing its accessibility for people of all ages and abilities. 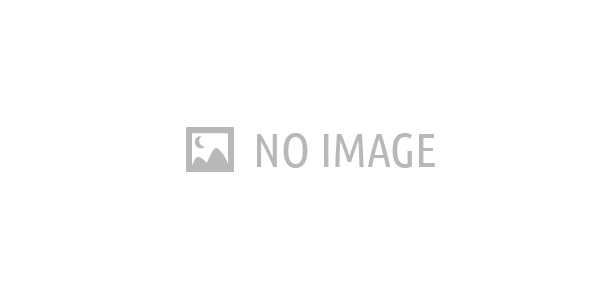 Once relegated to hospitals and nursing homes, grab bars have become a standard in hotels, resorts, other hospitality environments as well as new construction or homes being retro-fitted. Watermark Designs’ grab bars are an ideal choice as they are solidly constructed, low maintenance and enhance with the look and feel of luxury. 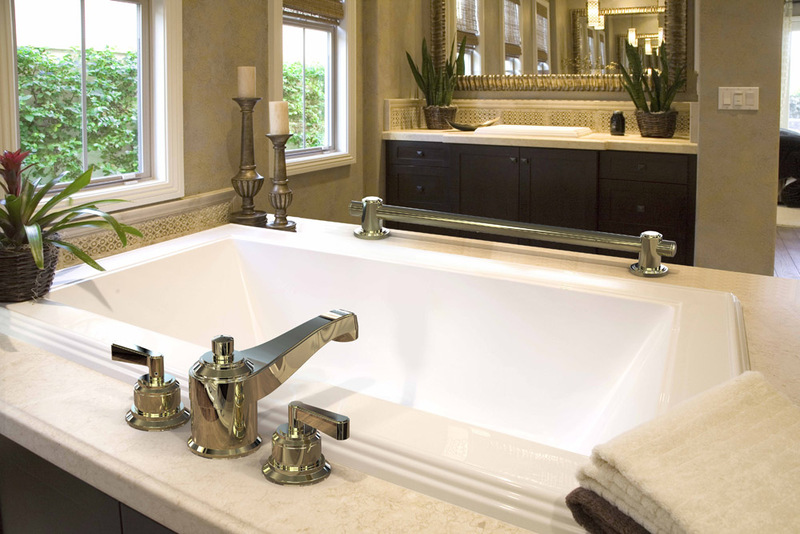 Watermark Designs offers the interior designer or architect design-forward inspirations that run the gamut from a traditional grab bar capped with finials to one of sleek and sophisticated minimalism. Living Square is proof positive that ceramics can be elegant. 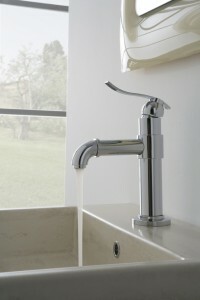 With its sleek surfaces and clear-cut contours, the ultraslim washbasin appears to hover in front of the wall. 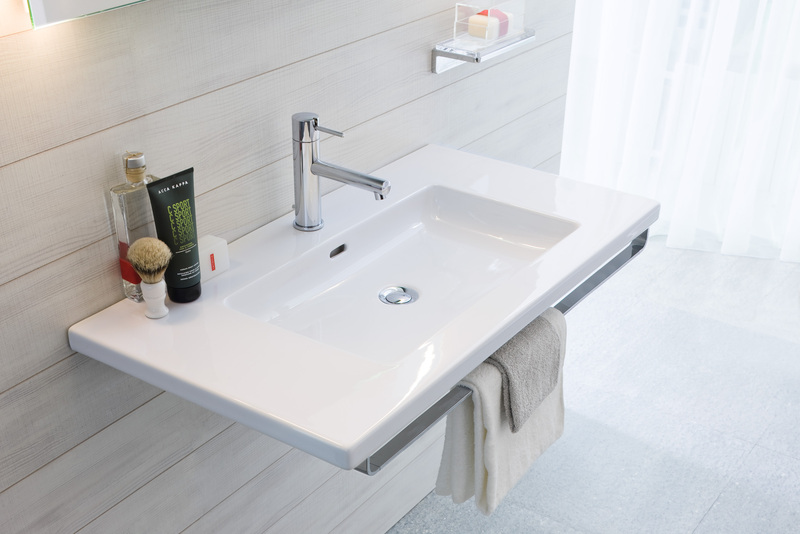 Living Square washbasins can be cut to size practically as you wish: at the right, left or both ends with millimeter accuracy. The results are tailor-made solutions that can be incorporated perfectly in recessed and corner layouts. 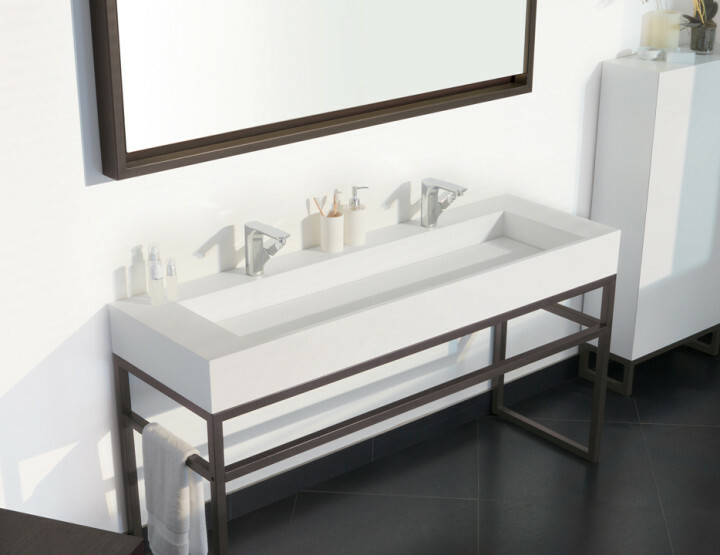 Created by Andreas Dimitriadis of Platinumdesign, Living Square is a modern range of bath furnishings with minimalist forms that can be easily integrated into distinct living styles. 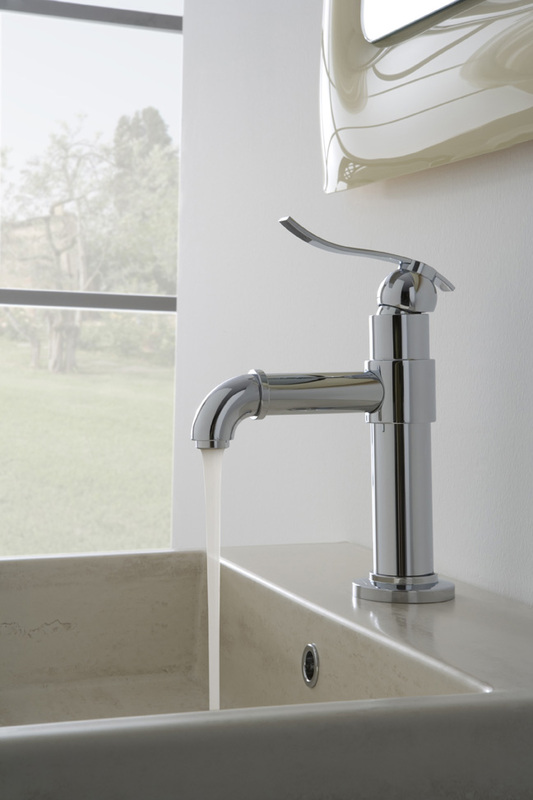 Reminiscent of 19th century water pumps, GRAFF took an outdated product and not only scaled it down for residential use, they updated the “pump” mechanism that requires nothing more than a slight lift; no priming of this pump necessary. Perfect for interiors that want a touch of traditionalism coupled with a more modern polished chrome finish, the Bali Collection retains its unique ties to both past and present. The Petite Renaissance Console is a smaller version of the Renaissance Console Stone Forest introduced last year. 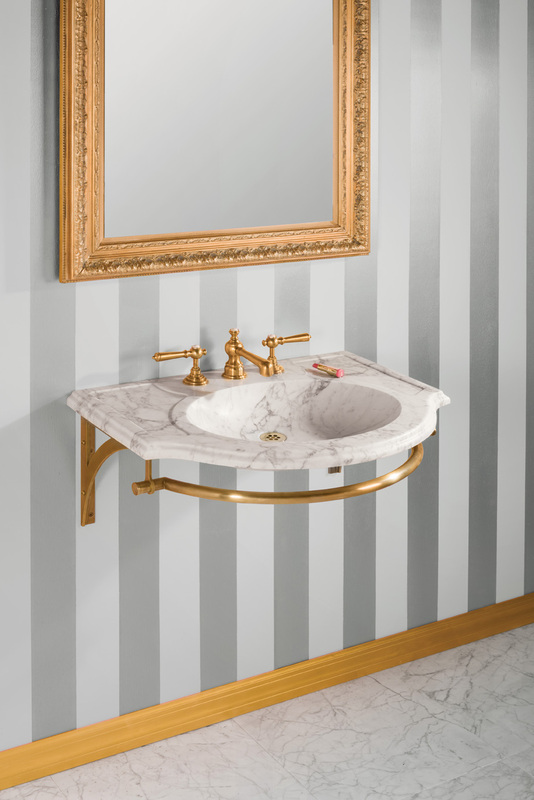 The design, carved from blocks of honed Carrara marble, is distinguished by the sinuous, semi-circular projection of its basin. 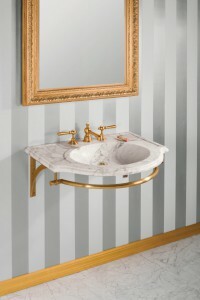 When installed as a wall-hung console, seemingly floating on a wall bracket with towel bar, this petite console is an ADA gem. Utopia is a contemporary outdoor fixture that blends energy efficient LED lighting with a decorative clear glass rod, satin aluminum accents and either a bronze or matte black finish for the foundation. 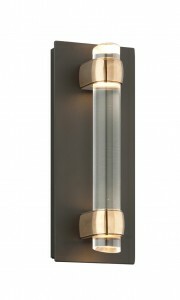 The ADA-compliant piece is available in a variety of wall mount sizes with varying sizes of LEDs.